In my video, Five Tips for the Job Interview, my first tip is to be careful how often you say “I” as opposed to “we”. If the company you’re interviewing with is looking for team players — and many companies say they are — then saying “I” too often can hurt your chances. You can come across as self-centered and egocentric. Someone, in other words, who doesn’t play well with others. I thought about this tip the other day when I watched Chris Chrstie’s press conference addressing the bridge closure scandal. (If you haven’t heard about it, you can get a good summary here). As the Republican governor of a very Democratic New Jersey, Chritsie is widely regarded as an appealing candidate for the Republican nomination for president in 2016. In a way, he’s interviewing for the biggest job of all. Perhaps he should have watched my video. In the press conference, Christie needed to address a scandal that appears to be about naked political payback. The Democratic mayor of Fort Lee, New Jersey didn’t endorse Christie for governor in the recent campaign. As a result (it appears), Christie’s minions shut down traffic in Fort Lee for four days. Christie needed to apologize and distance himself from such nasty political deeds. Dana Milbank, a columnist for the Washington Post, paid close attention to the press conference. 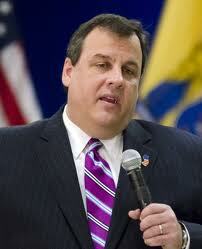 In fact, he went through the transcript and analyzed Christie’s language. The press conference lasted 108 minutes; Christie said some form of “I” or “me” (I, I’m, I’ve, me, myself) 692 times. That’s 6.4 times per minute or a little more than once every ten seconds. The net result is that Christie comes across as an egomaniac. That may be the case but, generally, you don’t want to come across that way in an important interview. There’s a lot that I like about Governor Christie — he seems to be one of the few politicians in America who can actually pronounce the word “bipartisan”. I hope he can learn to pronounce “we” and “you” as well.